All across the nation, states are getting hit hard by the surging opioid crisis that is creating the largest drug epidemic the nation has ever seen, but few places are experiencing it as much as the state of Ohio. Ohio residents are seeing an unnaturally high spike of heroin and opioid use, as well as deaths by overdose. This is leading more and more people to start seeking treatment for their addiction. Although recovering from a heroin, prescription drug, or any other type of substance addiction can be extremely difficult and complicated, it is never impossible. It is important to know though that the success rate for those who try to quit on their own is slim. It is for this reason why it is highly recommended that those who suffer from substance addiction seek treatment at a professional, licensed and accredited rehabilitation facility. United Drug Rehab Center, can help you wherever you’re located. We offer renowned dual diagnosis addiction treatment programs, and our experienced physicians and counselors work together to tackle the issues facilitating addiction for each individual client. Because we believe that treatment should not begin until the patient has properly detoxed, we offer prescribed stabilizing medication in order to make the process as comfortable and smooth as possible. Additionally, we also offer individual, group and family counseling 24/7, because we know how important it is to have access to the help you need, whenever you need it. If you or a loved one is suffering from an addiction to drugs or alcohol, it's never a good idea to wait. 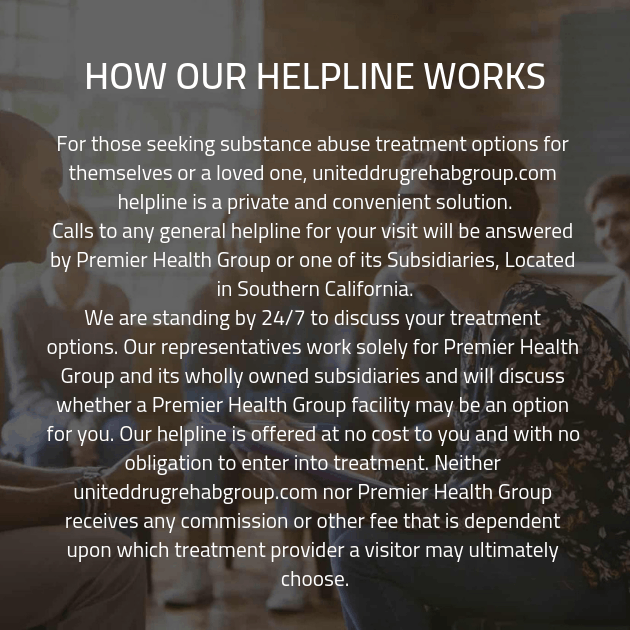 Call United Drug Rehab Group now and find out about the best course of action for you or the one you love.